Jenna completed her Bachelor of Science in Nursing at the University of Alabama at Birmingham in 2006. Jenna was a member of the Alabama and National Student Nurses Associations, and was also inducted into the Sigma Theta Tau International Honor Society of Nursing. Upon graduation, Jenna worked in the Neurosciences Intensive Care Unit where she provided care for Neurology, Neurosurgical, and Trauma patients. In 2010, Jenna accepted a position in the Department of Neurology as the Clinical Coordinator for the Huntington’s Disease Clinic and Research Nurse Coordinator for the Division of Movement Disorders. 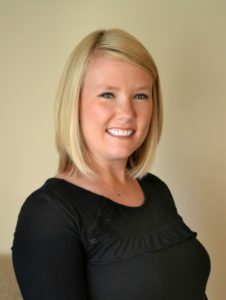 Jenna is available in clinic and will also take all HD-related phone calls and manage general patient issues. Candace completed her Bachelor of Science in Psychology degree at the University of Alabama at Birmingham in 2011. 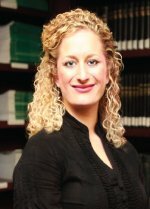 In 2014 she accepted an administrative position in the Department of Psychiatry at the University of Alabama at Birmingham supporting the clinical trials research team. After working around clinical trials for a few years Candace became very interested in pursuing a career as a clinical research coordinator. In May 2016 she joined the Department of Neurology Division of Movement Disorders as a clinical research coordinator working with patients diagnosed with Huntington’s disease as well as patients diagnosed with Parkinson’s Disease. 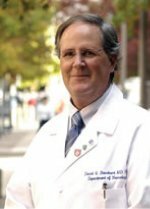 Dr. Standaert is the Chair of the UAB Department of Neurology, the John N. Whitaker Chair of Neurology, and was recruited from Harvard University in 2006. He received an MD and PhD from Washington University in St. Louis in 1988 and completed residency training at the University of Pennsylvania. At Harvard, Dr. Standaert was involved in research and clinical care for Huntington’s. In addition to being Associate Director of the Huntington’s Disease Clinic, he also serves as Director of the Center for Neurodegeneration and Experimental Therapeutics (CNET) and Director of the Division of Movement Disorders at UAB. Dr. 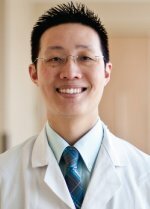 Sung is the Director of the UAB Huntington’s Disease Clinic and graduated from Vanderbilt University with a BS in Neuroscience in 2001. He received an MD from UT-Southwestern in Dallas in 2005. He completed residency training in Neurology at UAB in 2009, during which time he was elected to membership of the Alpha Omega Alpha Honor Society and received the Argus Award for Best Neurology Resident. After residency, he completed a VA National Quality Scholar Fellowship and a Movement Disorders Fellowship at UAB. 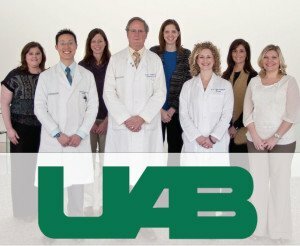 In addition to directing the Huntington’s Disease Clinic, he is the Stroke Center Director at the Birmingham VA Medical Center and Associate Director of the UAB Medical Student Neurology Clerkship. 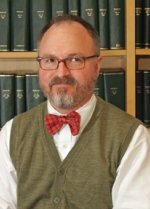 Dr. Dure is Professor and Director of the Division of Pediatric Neurology and holds the William Bew White, Jr. Chair in Pediatric Neurology. His clinical research interests are movement disorders in childhood as well as Huntington’s Disease.